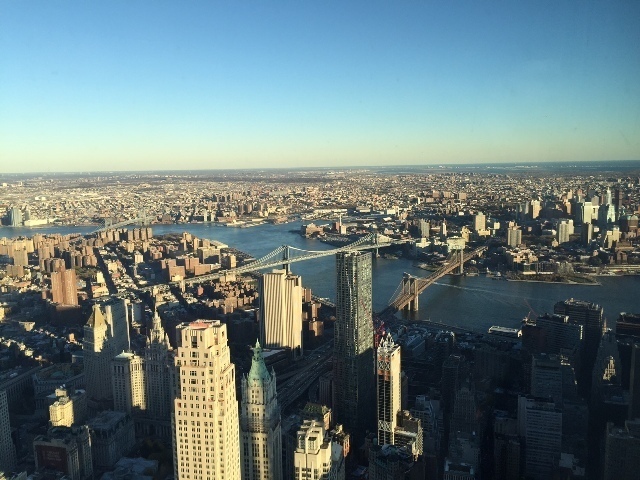 A visit to the One World Observatory really should be on your to do list when making plans for your trip to New York. Here are some basic tips&tricks and need to knows to help you plan that. Buy your tickets online in advance instead of getting them on the spot. That way you won't have to wait in line. Good to know: Planning on going on a weekday and don't need more than 4 tickets? Get 20% discount on your tickets using the Century 21 code: C21OWO. So, when you buy your tickets online you have to pick a timeslot. There's no need to stress or make a big fuss if you're running a bit late (or early). You might be asked to wait a little bit but you'll still be allowed in. 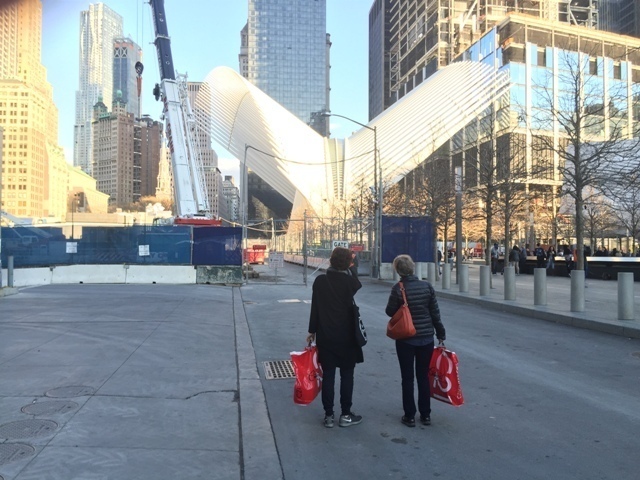 Good to know: Across from the entrance of the One World Observatory is Brookfield Place. A fantastic shopping center which houses Le District - the French version of Eataly - and has a foodcourt on the first floor. The lookout over the Hudson is gorgeous which makes it the perfect spot to get something to eat and/or drink before or after your visit. 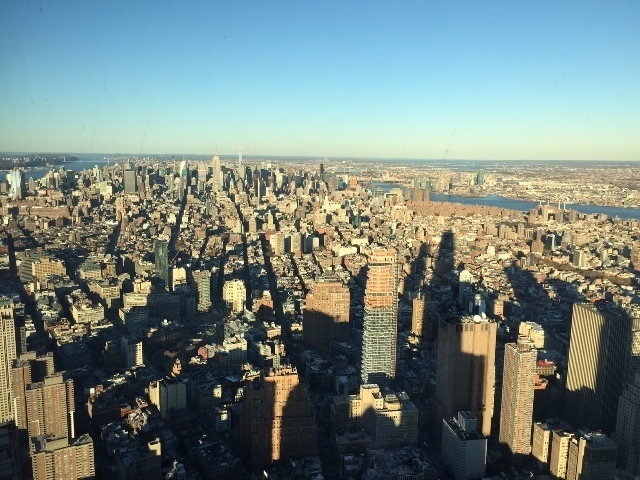 Good to know: When you enter the elevator that rocketlaunches you to the Observatory Deck on the 100th floor, make sure you get a clear view on the walls. During the some 60 seconds lasting ride you literally fly through a timelapse of 500 years of New York history, projected on 3 walls. And once you get up there? Well, enjoy the view. It's amazing. I really enjoyed myself during the 45 minutes I was up there. Took lots of pictures. And would rather have not seen that the 9/11 Memorial infinity pools actually do have a bottom. 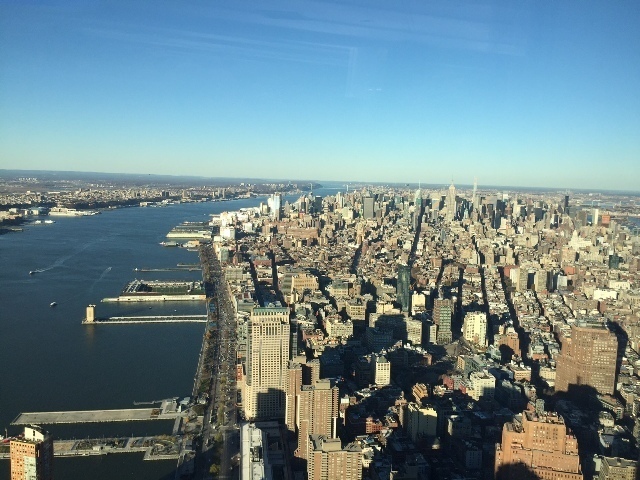 Click here to get your tickets to the One World Observatory and treat yourself to an amazing 360 degree view on New York!